Scout out the right venue and manage more successful events. Can't Attend? Register anyway, we'll send you a recording! In this 30-minute, expert-led webinar, learn how an experienced event planer goes from idea to site visit to execution. We'll also discuss different ways to get creative when you can't find the perfect venue. Presenters: Stacy Steine, Sr. Experiential Marketing Partner at Target™ & Steve Brown, Production Account Manager at Heroic Productions. Understand the different types of event venues you'll encounter during site visits and how to set your team up for success. Learn how to make informed decisions and recommendations on the best venue for your event. Get insights into the best time to bring your AV partners into the planning conversation with you. 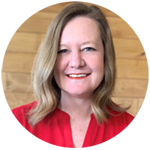 Sr. Experiential Marketing Partner, Target Corp.
Stacy Steine is an expert in the events industry with over two decades of experience working for non-profit associations, third-party agencies and corporations. She currently is a producer and planner with Target on the Experiential Marketing team, and has used her trademark skills of creative problem-solving, strategic thinking, and collaboration to produce hundreds of events. 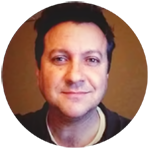 Steve Brown has been a Production Account Manager at Heroic Productions since 2015. Prior to joining the Heroic team, Steve spent 10 years as an onsite meeting producer for Target Creative, ensuring the successful execution of Target’s global meetings and events operations. Steve brings his wealth of expertise everywhere he goes to ensure the same success for Heroic Productions’ clients.